Our country estate is more than just comfortable hotel accommodations. You don’t have to leave the grounds to enjoy your day! The century-old carriage house and blacksmith shop offer a Children’s library with books and fun stuff. The Serenity Room has a top-of-the-line Medical Breakthrough massage chair with a variety of programs to take away aches and pains and facilitate relaxation. The yoga studio has a wall of mirrors and all of the equipment you require. In the exercise room there is a treadmill, recumbent bicycle and Chair Gym for strengthening muscles. The hot tub is located under the stars. The lawn behind the Manor House has a playground for our small guests with swings, slides, sand toys and other fun things. There are hundreds of books in the libraries and decks, patios and lawn chairs for relaxing, sun bathing or a quiet conversation. Refreshments and bar service are available. If you need to exercise your competitive spirit, there is crocket on the lawn and horseshoe pits. There are walking trails up Dominion Hill and a quiet country road that follows the Digdeguash basin to the waterfall and river with good fishing. Bikes and helmets are also available for your use. Few places in the world offer the opportunity to see these gentle giants of the ocean up close. Minke, Finback, Humpback, and the rare North Atlantic Right Whales can be seen in the Bay of Fundy. A variety of trips are available leaving from the dock in downtown St. Andrews. Kingsbrae Garden is a multi-award winning 27 acre horticultural masterpiece located in downtown St. Andrews by-the-Sea. 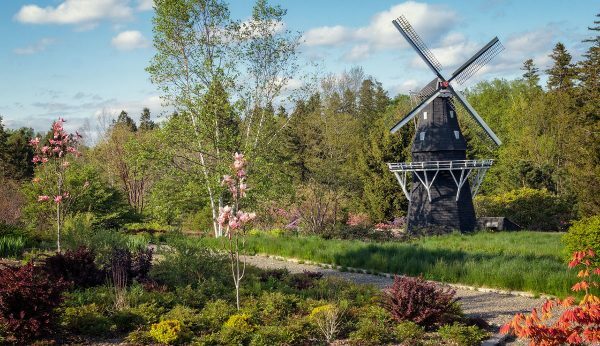 There are more than 50,000 perennials, dozens of sculptures and other works of art, and a great cafe. There are many hiking trails throughout the region and a guide book is available. A local favorite is the New River Beach trails, nicely kept paths with views that are unique to New River. There is also a trail in St. Andrews that begins downtown. The sheltered waters of the Fundy coast make kayaking a favorite holiday adventure. In additional to rentals in St. Andrews and many other coastal towns, there are companies offering kayak tours ranging from a few hours to several days. There are many parks in the area that provide access to the coast, but if sunning is your priority, head for the soft sand at New River Beach Provincial Park or the Herring Cove Provincial Park. There is no shortage of shopping opportunities with galleries, antique shops, Farmer’s markets, boutiques and more in the nearby towns. 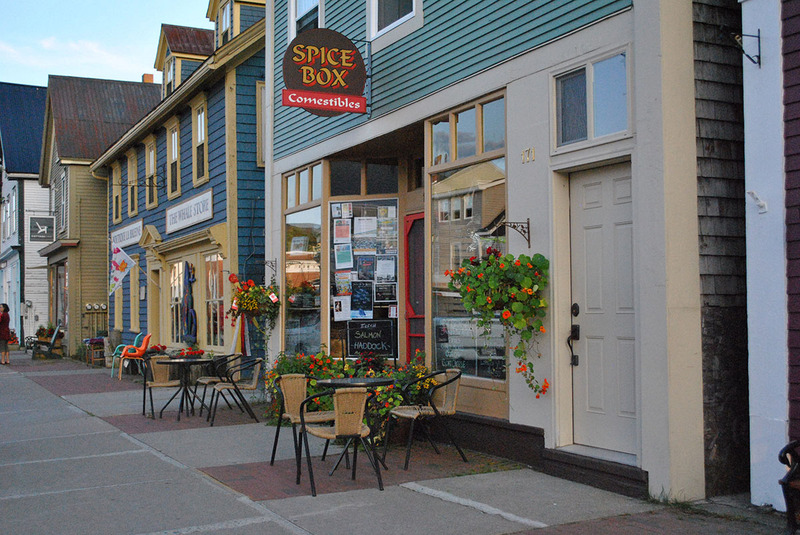 The main street in St. Andrews has something for everyone and is a good place to start. 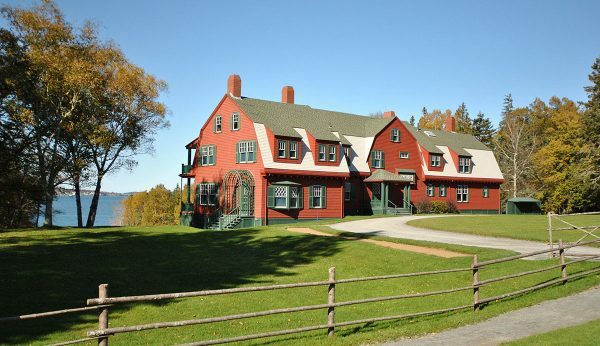 President Roosevelt’s beloved summer home and museum draws thousands of people to this Island each year. Filled with pristine beauty, there are two nature parks and a beautiful lighthouse. You can reach the island by bridge or on a ferry from Deer Island during the summer months. This small, uninhabited island in the St. Croix River is where the French established their presence in North America is 1604. 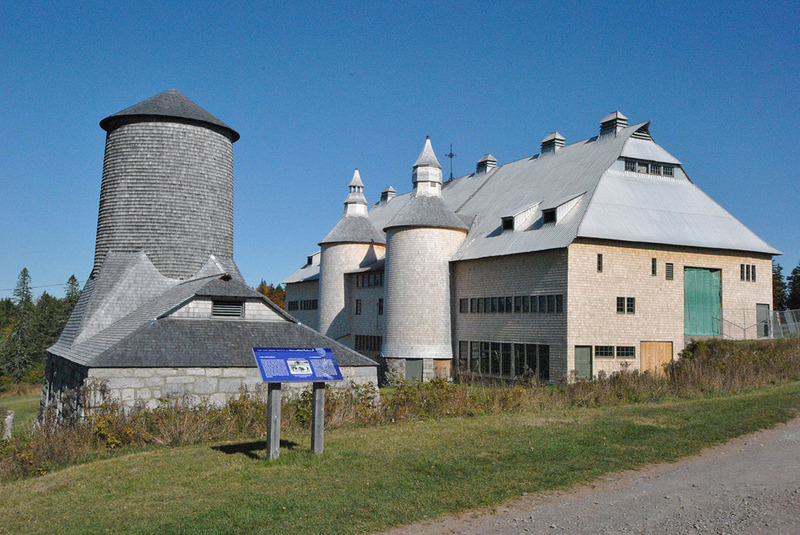 The interpretive centre is located just off the highway, overlooking the island, and provides an introduction to the history of the region and its great explorer, Samuel de Champlain. You can only visit the Island at low tide as you drive across the ocean floor that is 14 feet underwater at high tide. (You need to check the admission times as they change with the tides!). 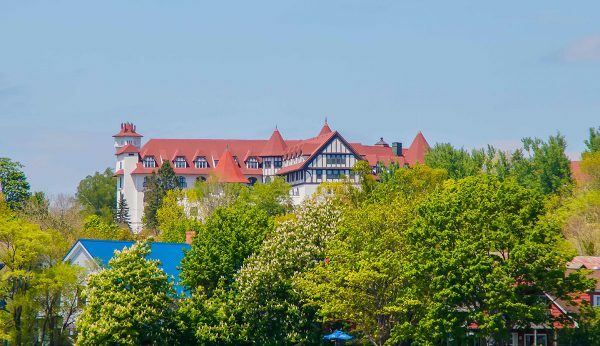 Once on the island, you are transported back in time to the era when men of vision and determination built Canada. Visit the 50 room home of railroad builder Sir William Van Horn, the stone bathhouse on the shoreline, and the giant barn. There are lots of trails and incredible views. The region has a fascinating history that includes the struggle for ownership of North America, wars between French, English and the United States, and many peoples and cultures of the Atlantic coast. 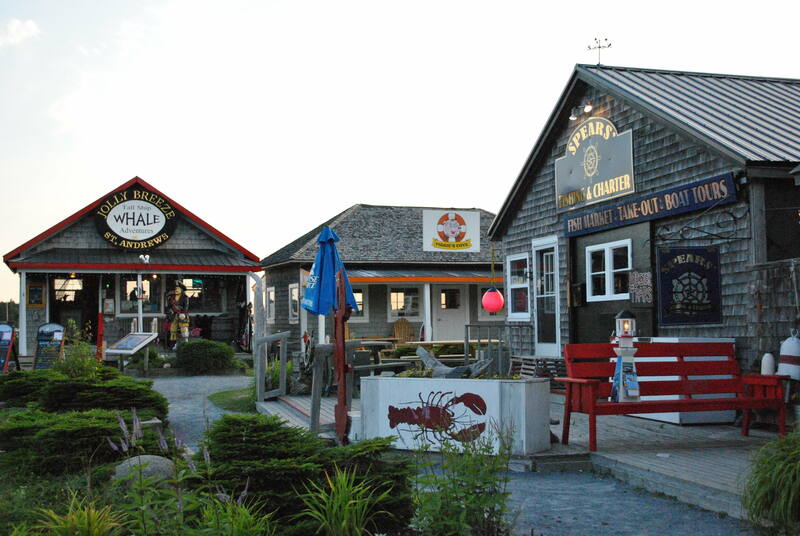 Among the museums are the Grand Manan, Roosevelt Campobello, and the Chocolate museum. Don’t miss the Ross Museum in downtown St. Andrews, with an excellent decorative arts collective from around the world in one of town’s most beautiful historic houses. Restaurants, dinners, take-out stands, pubs and micro-breweries can be found throughout the region. As you would expect, the seafood is extraordinary. Close to Dominion Hill is the Rossmount Inn, with one of the Maritimes best restaurants (reservations needed) and Ossie’s, a seafood takeout stand that has been a favorite since 1957.